PNC Arena is home to the 2006 Stanley Cup Champions Carolina Hurricanes and NC State University Men’s Basketball. On an annual basis, PNC Arena welcomes over 1.5 million guests and plays host to more than 150 events including major concert tours, and family shows. In 1999, the $158 million PNC Arena opened encompassing approximately 700,000 square feet. Four different seating levels provide 18,680 seats for hockey, 19,722 for basketball, 19,500 for center-stage concerts, and 18,800 for endstage 360 performances. In 2015, the Centennial Authority, the appointed authority which oversees the operation of the arena, approved the development of a master plan for arena expansion and renovation. 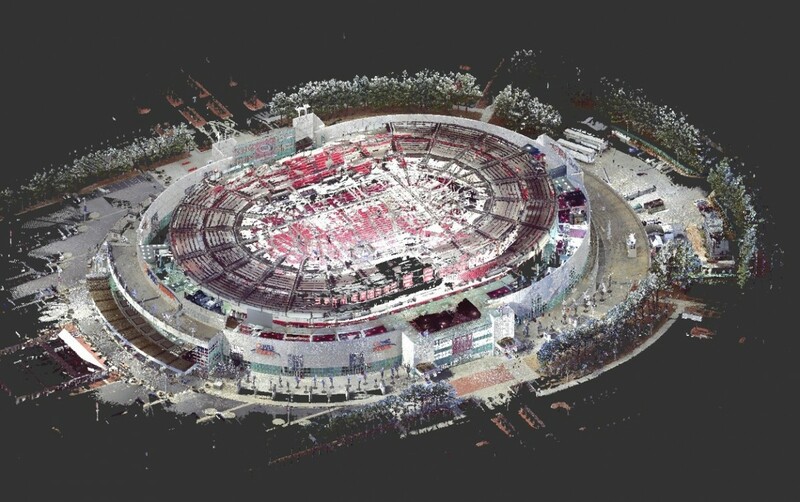 Stewart performed high definition laser scanning of a large portion of the arena to support renovation planning, design and construction. Scope of services included control surveys, high definition laser scanning with point cloud registrations along with deliverables in RECAP and REVIT formats. Approximately 370 individual scans were performed and orchestrated without disruption of the arena’s daily schedule.